The bar shows all major sports events live on multiple flat-screens. Serves cold beer and tasty food, a perfect place to watch the game. Named after (in his own opinion, at least) Iceland's greatest man, Sólon is a popular daytime cafe with a good menu and great views for people-watching on Laugavegur. Geysir Bistro & Bar is a new bistro housed in the same building as the Tourist Information Centre. Bistro-style restaurant and bar/club in the heart of Reykjavík, with a wide-ranging menu and free wireless internet. Public House Gastropub is a gastropub that emphasis on small courses with a Japanese flair. Saemundur í Sparifötunum is the gastro pub at the heart of KEX hostel. VON mathús emphasizes seasonal Icelandic cuisine combined with ingredients that complement each dish perfectly. Traditional Icelandic homemade dishes are Café Loki's specialty, such as Icelandic meat soup, Icelandic plate, homemade bread and cakes. 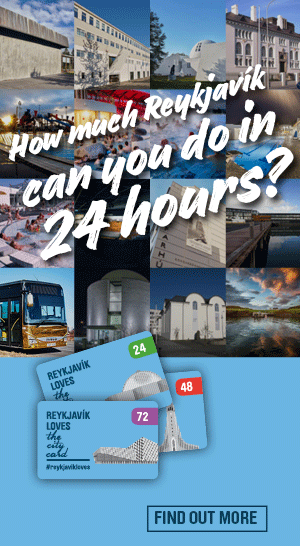 Here you get to experience the locals' favorite hideaway in the very center of downtown Reykjavík. With 13 different beers on draft to choose from and some of the best comfort food in the city, you won't find a better place to kick off your night! A humble little bistro in Reykjavik’s west side. We only use the best ingredients available each time. Happy customers are our best advertisement. Mulakaffi cafeteria is one of the best places to try real tradtitional Icelandic home cooking, for example boiled haddock and lamb steak. A family friendly restaurant, popular for it’s relaxed atmosphere and delicious cooking, offered at reasonable prices. Sæta Svínið (e. Sweet pig) Gastropub is all about LOCAL FOOD AND BEER! 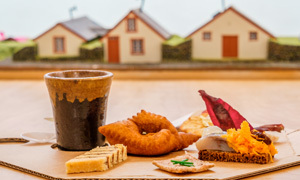 Tasty and fun food made with fresh and local Icelandic ingredients. Bryggjan Brewery is an independent brewery, bistro and bar at the harbor in Reykjavík, which focuses on fresh ingredients and quality beer of various types pumped directly from the brewery. There is nothing like the easy atmosphere at Café Paris for enjoying an excellent dinner with your friends or partner. Hlemmur is a gourmet food court located in one of the city's main bus stations. You could say the food offered here has traveled around the world: from Vietnamese street food to Danish open sandwiches. A 50´s-style diner during the day and a nightclub on weekends. One of the best ways to learn about foreign cultures it through its cuisine. 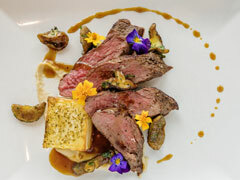 Although Iceland hasn't perhaps been known for its gourmet kitchen, it sure offers some tasty bites. Here is a list of restaurants in Reykjavík which serve traditional, Icelandic food. We’re about classic and inspired cooking, good food and cocktails to match.